Chromecast’s small form factor and low price created a big ruckus when it launched back in the fall of 2013, even though the content selection was pretty much limited to YouTube and Netflix at that time. But because it’s relatively easy to add “Cast” support to most iOS and Android apps, the Chromecast library continues to expand quickly and now most of the major video apps are represented – including HBO Go, Showtime Anytime, and Hulu Plus, in addition to YouTube and Netflix. We also like the experience of browsing for content on our mobile devices, versus scrolling through titles on a big screen – to a certain point. Which brings us to the next section. 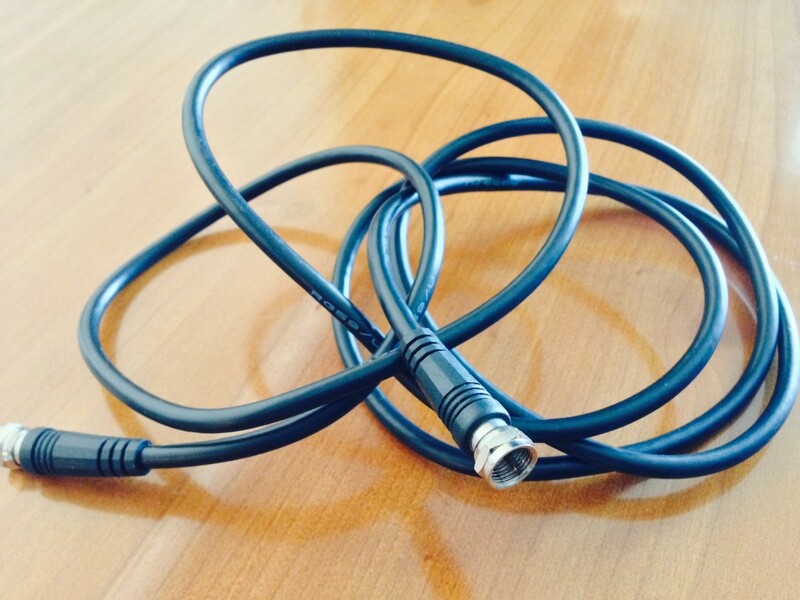 The thing that we find most compelling about Chromecast is also the thing that drives us nuts: No physical remote. Initially we found the simplicity charming – just a device that catches whatever streams you throw at it from your phone or tablet. But the lack of remote really backfires when pausing involves fumbling for a smartphone, closing the email you were typing, etc. Back in September I was still quite enamored with the Chromecast. But I got increasingly frustrated as I battled frequent connection issues that caused the transport controls (rewind, pause, etc.) to stop working. Fortunately, a recent Chromecast update largely resolved this issue, by allowing Chromecast to accept signals from most TV remotes. This uses the same CEC (Consumer Electronics Control) function that allows you to power on your TV and control the volume using Chromecast, only in reverse. It worked like a charm on my Samsung Smart TV, but may not work with all TV models. As of today, this feature works with almost all the Chromecast-compatible apps – with the big exception of Netflix. No word on when that update will drop (Netflix is often a little slower to build new Chromecast features into its apps), but by incorporating a remote without adding another one to our pile, Chromecast is back in our good graces. Roku is always near the top of nearly every streaming device roundup we’ve posted over the years, mainly because it has the widest variety of content. It still does, and tends to be on the forefront whenever a new app is released. We also like Roku’s universal search feature, which ties together all the major content sources so that you can search in a single interface. With all its good features, it hurts us to say that the Roku Streaming Stick falls a bit short. It packs considerably less power than the Roku 3 or the Fire TV. Where Roku 3’s WiFi remote is responsive to every button press, the Streaming Stick lags and seems to have difficulty getting signals from the remote (also WiFi) when plugged in to the back of the TV. 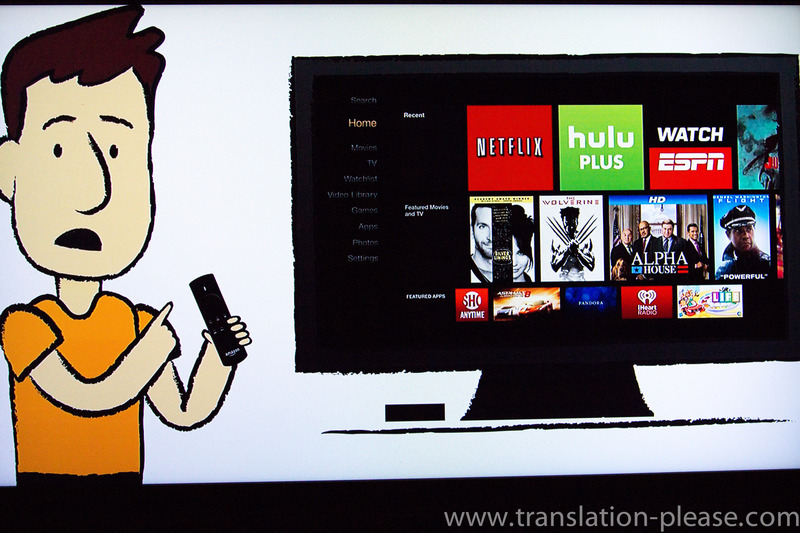 Last Spring, we wrote about the Streaming Stick’s issues with DIAL – the process of casting content from Netflix or YouTube to the TV was buggy, and often didn’t work reliably. This is still largely the case, but it’s true for Chromecast too. 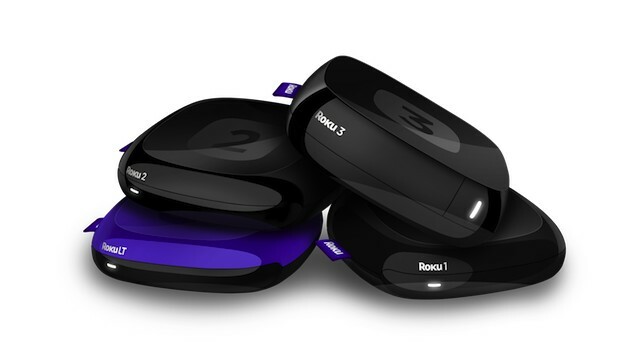 Roku is certainly the winner in terms of sheer content, but that might be a dubious honor. 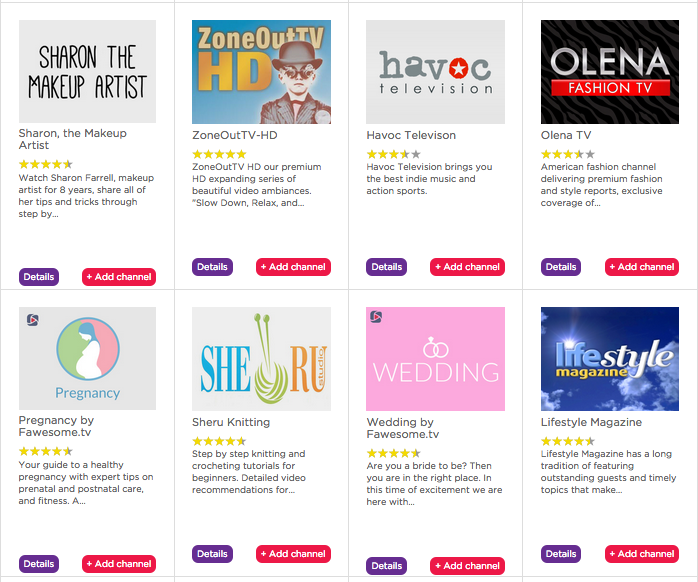 Sometimes all that content can be overwhelming, as is definitely the case when I look at all the free niche channels in Roku’s channel store. Amazon’s Fire TV devices support a bunch of different video services, but do a particularly excellent job of highlighting Amazon’s own video selection (both Prime and additional content to rent or buy.) If you mainly watch Amazon Prime, you’ll enjoy this feature. The Prime content also includes metadata from IMDB, making it easy to browse for other titles that include the same actors or director. 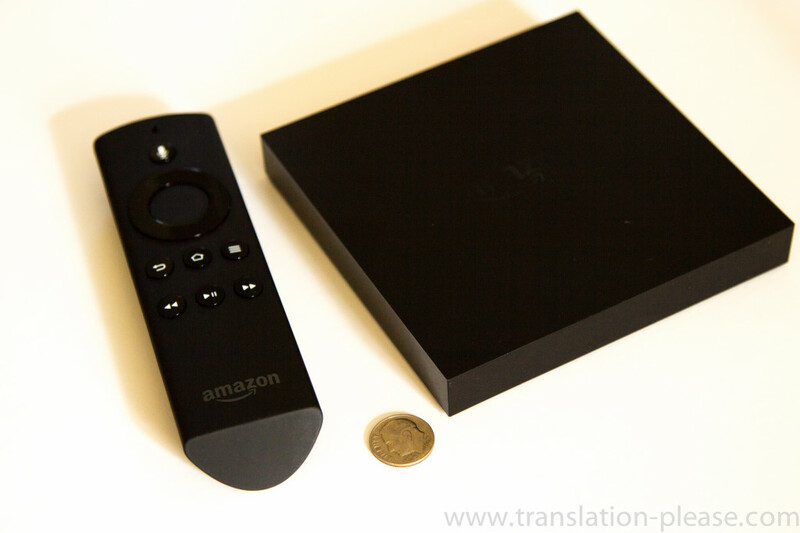 Like Chromecast and the Roku Streaming Stick, Fire TV also allows you to “Cast” content from your phone or tablet – and if you have a premium subscription to Spotify, Fire TV lets you control the music with your phone via Spotify Connect (a feature that is sorely lacking on Chromecast and Roku). Like all Amazon devices, installation was a breeze. The Fire TV showed up pre-authenticated to the account it was purchased from — you’ll still have to sign in to Netflix, Showtime, and the other services on the box, but you can start watching video right out of the box. If you like to get your content from multiple sources, the Amazon-focused UI on the Fire TV can be a bit over-the-top (see what I did there?). Most of the screen space is devoted to layers upon layers of Amazon content, with the other services jammed into a single row. Netflix titles are conspicuously absent both from the search feature and the IMDB recommendations, which is annoying, if somewhat understandable. 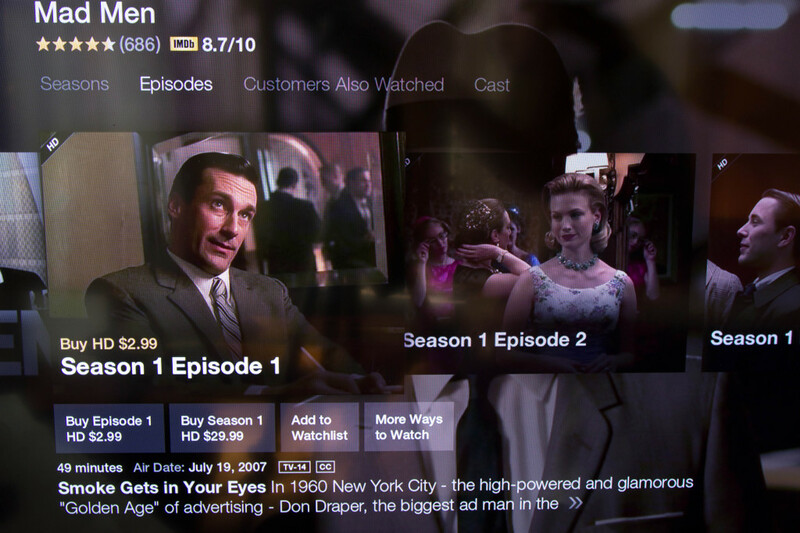 Sure, Amazon would probably prefer that I pay $2.99 for an episode of Mad Men instead of watching it on Netflix at no extra charge – but I wouldn’t. Also worth considering, if you’re a premium cable subscriber in the market for a new streaming device: While all three devices have apps for HBO Go and Showtime Anytime, not all of them will let you sign in. 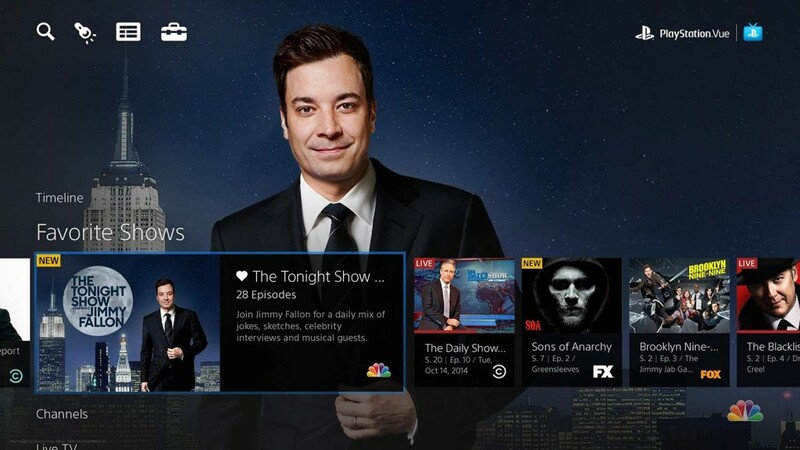 If you’re a Comcast or Charter subscriber, you won’t be able to watch Showtime or HBO on your Fire TV until they strike a deal – and in the case of Roku, that process took years. So which dongle is our favorite? We get this question a lot, but it’s never an easy one to answer. The Fire TV stick is currently getting the most screen time in my farm lab, and at the lab-lab, and at Leslie’s house – but the Roku Streaming Stick still has a solid content selection. Chromecast was falling short, but controlling it with the TV remote is a game-changer. One thing we know for sure is that these services and devices can look very different in a year, or a few months. Stay tuned for our next update. 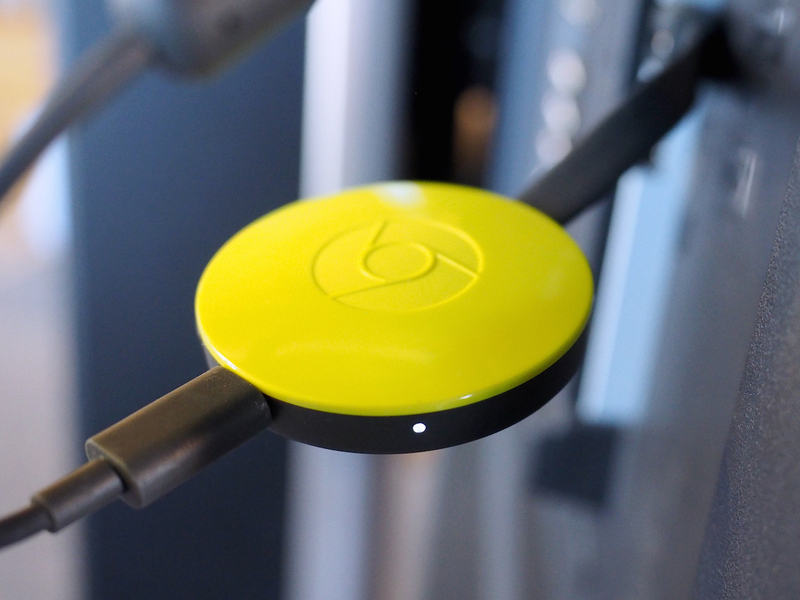 Last fall, we first got our hands on Google’s Chromecast. Now, a little over a year after its release, we’re taking a look back at the little dongle that could. Because by popular metrics, it took the market by storm. When Chromecast launched on July 24, 2013, just two apps were available on iOS: Netflix and YouTube (Android users could also get music, movies, and TV through Google Play). In February, Google finally released the Chromecast SDK and developers everywhere began building the cast functionality into their apps. Now, there are roughly 78 apps available for iOS — 24 of them “featured apps.” Notable streaming video apps include WatchESPN, Netflix, HBO Go, Hulu Plus, Watch ABC, YouTube, PBS Kids, MLB.TV, and Crackle. As for the number of Chromecast apps for Android, the count stands at “oh, hundreds” (in other words, we stopped counting). Just this week, Netflix finally brought the “Post-Play” feature to Chromecast – meaning it will now automatically cue up the next episode if you’re watching a series. This feature has been on other devices since 2012, and is extremely useful if you happen to be marathon-watching episodes of Dexter while slicing and dicing your way through a bumper crop of plums (take it from me). 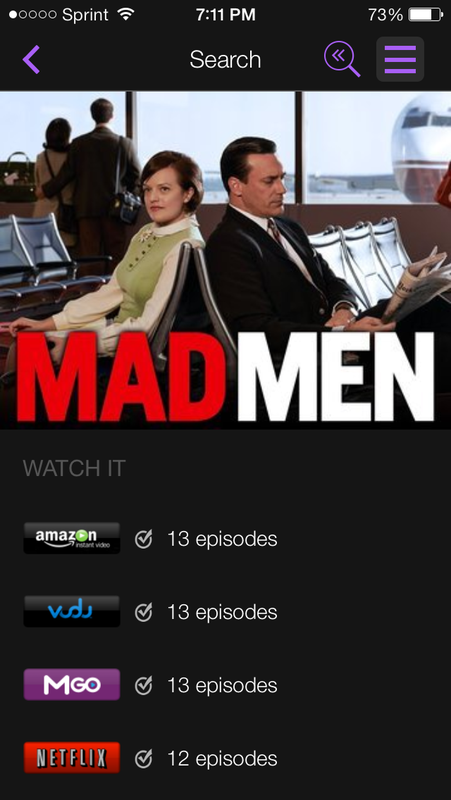 Not so useful is the fact that there is no way to toggle this feature off within the app; you’ll need to go to the Netflix website and change the settings there, or risk getting sucked into a marathon. Netflix, you’re a terrible enabler. Chromecast also allows you to stream virtually any web video from your computer, using a Chrome Browser extension, but when we first tested out the Chromecast, I found this feature to be downright useless. Because the video streams from the computer and not from the cloud, I ended up with a grainy, sputtering video where the audio track rarely synced up with the picture. Fortunately, it’s now possible to change the resolution in the extension options. “Extreme” video quality equals 720p high-bitrate, so streaming from a browser never looks quite as sharp as watching something from the Netflix catalog. Dropping to “High” quality, which is still 720p, doesn’t cause much difference in resolution but does smooth out the playback considerably. The ability to send tabs to Chromecast is coming to Firefox, too. Mozilla now has a “Send to Device” extension in its latest Firefox Nightly Build for Android devices (Firefox for Android Beta 33), where it will presumably undergo further testing before showing up on our computers and other devices. Firefox’s new extension also casts browser tabs to the Roku 3. These days, I find myself using the Chromecast more often than I do the Roku Streaming Stick that’s plugged into the same TV. 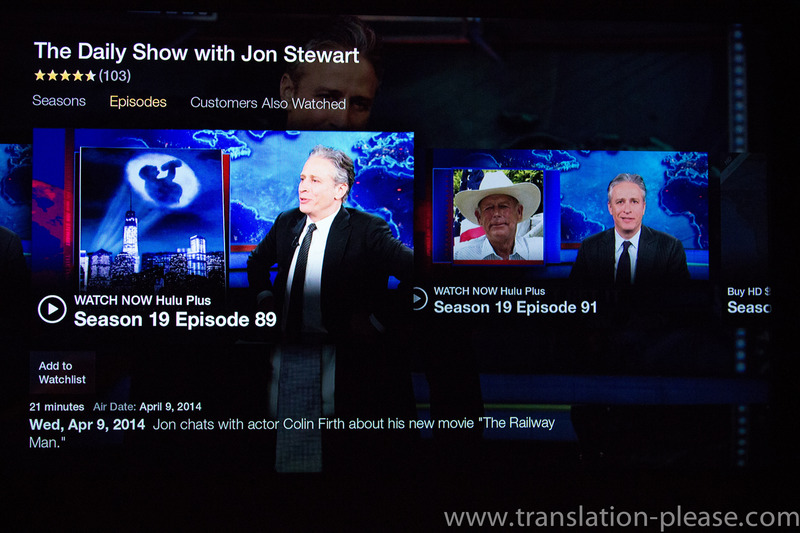 Roku still has more content, but Chromecast is much more accessible and convenient to use. Because Chromecast uses CEC (Consumer Electronics Control), I can just select a piece of content to play on my phone and the Chromecast will seamlessly turn on the TV, switch to the correct input, and start playing the video. Roku’s Streaming Stick, which has no CEC and a limited selection of apps that support DIAL casting, still requires that I juggle two remote controls. The simplicity of Chromecast is a beautiful thing, and the growing catalog of compatible apps makes it more relevant by the day. 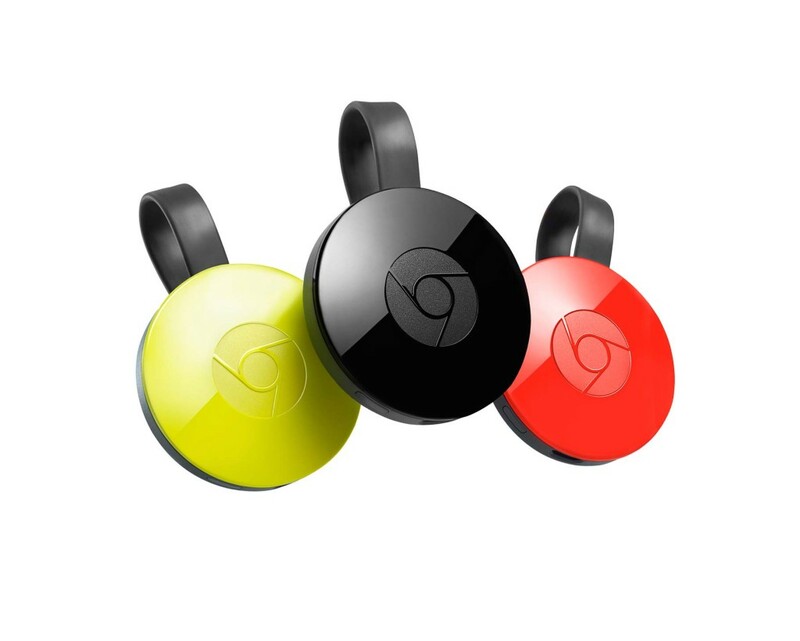 We’re hoping this will be the year that Spotify, Amazon Video, and Showtime Anytime get on the Chromecast bandwagon. 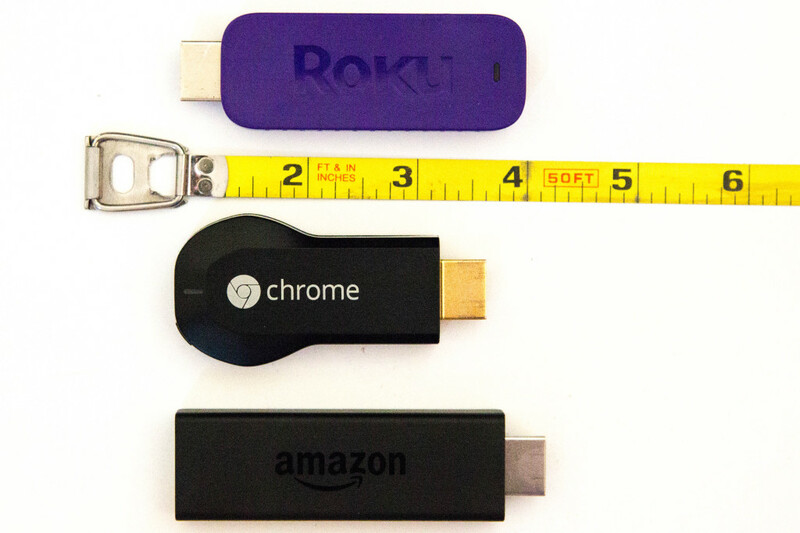 A Roku Streaming Stick showed up at the lab recently, so we’ve been putting it through the paces alongside Google’s Chromecast stick. While both devices have quite a bit in common (such as a dongle form factor and DIAL functionality), they are also fundamentally different. So which dongle do we like best? Read on. PRICE: Roku’s Streaming Stick will set you back about $50; Chromecast $35. WHAT’S IN THE BOX: Both dongles ship with a micro-USB cable for power. 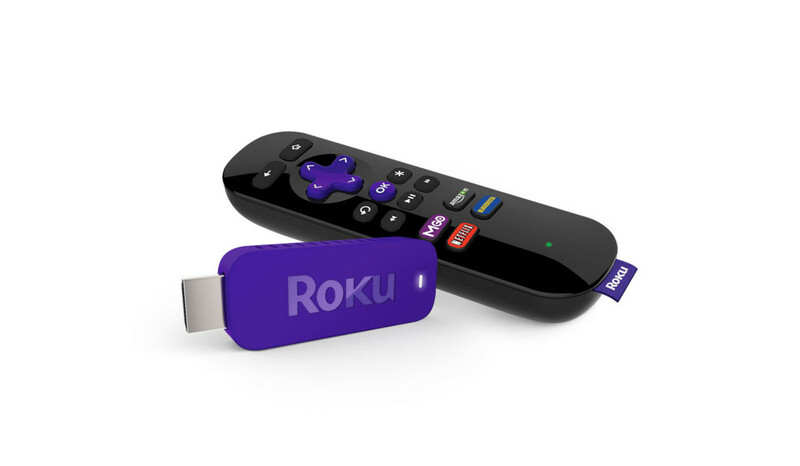 Roku’s Streaming Stick includes a full-size remote control, while Chromecast is controlled by mobile devices only. 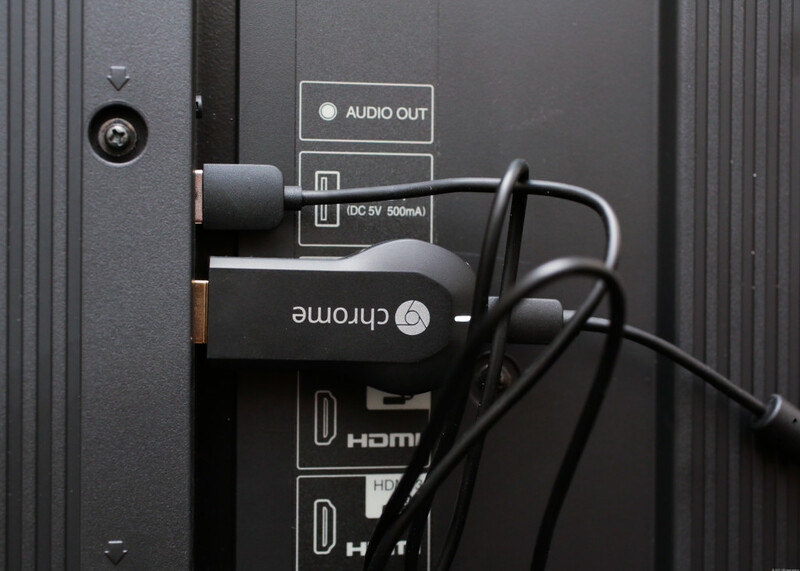 Chromecast also includes an extender in case the HDMI port on your TV is a tight fit. 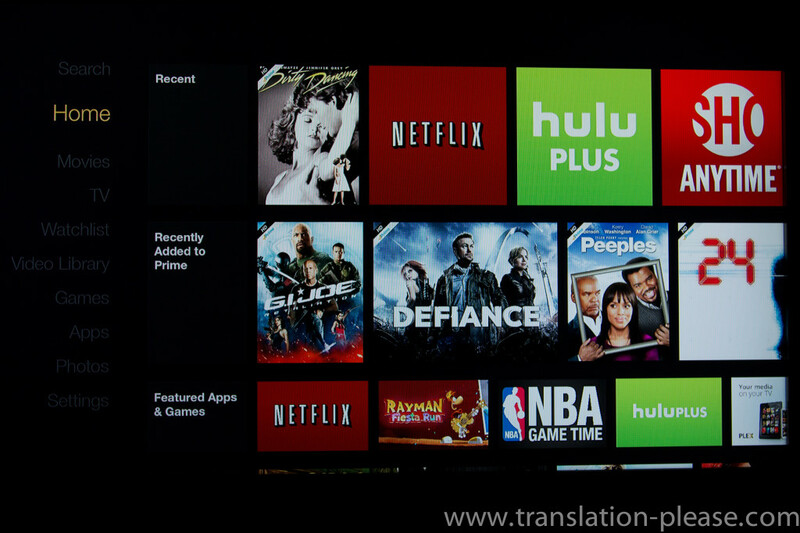 APPS: Both dongles play content from Netflix, Hulu, HBO Go, YouTube, Vudu, and Crackle. 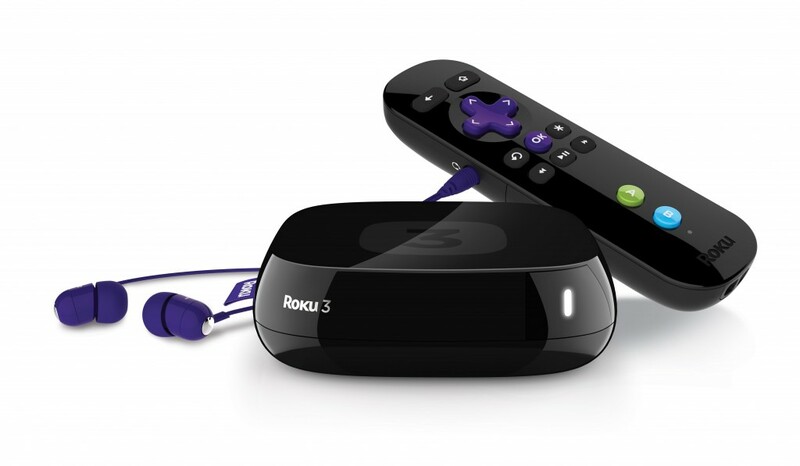 Roku carries hundreds of other free and paid channels, including Amazon Instant Video. Chromecast’s library of compatible apps is still small, but growing. So Roku wins on content depth and breadth. HOW THEY STACK UP: Both Chromecast and Roku’s Streaming Stick use DIAL, which means that within a DIAL-enabled app on your phone or tablet (Netflix or Hulu, for example) you can choose a piece of content, select the little antenna-looking icon, and begin playing it. Again, this is the only way you can control Chromecast, because it doesn’t come with a remote control. Roku includes a lot of channels (apps), but lots of them don’t yet work with DIAL — hence the physical remote. (Which is kind cluttering up our recently-decluttered lab). And, alas! The remote for Roku’s stick doesn’t come with the fabulous headphone jack, or motion control, that came with the Roku 3 remote. And while you can buy those separately, they don’t work with the streaming stick. AUTHENTICATION: Another area where the dongles differ is authentication – signing in to Netflix, Hulu, etc. to get the content you pay for. Chromecast does all of this without prompting you, assuming you’re signed in to whichever over-the-top video app on your mobile device. It does this by sending a token from your mobile device to the dongle, over WiFi. Not the case on Roku, where you have to sign in to each app the first time you use it. This is a bit of a hassle. Say, for instance, you don’t have HBO, your friend doesn’t have an Internet-connected TV, and you both want to watch Silicon Valley. On Chromecast, you can do this from a mobile phone without authenticating on the dongle itself. Roku makes you enter user name/password, using the onscreen remote. The stick then remembers your friend’s login unless you go in and clear it out. MOBILE APPS: Chromecast’s app is for setup purposes only, for streaming content Google Cast is embedded into existing apps (such as HBO Go). 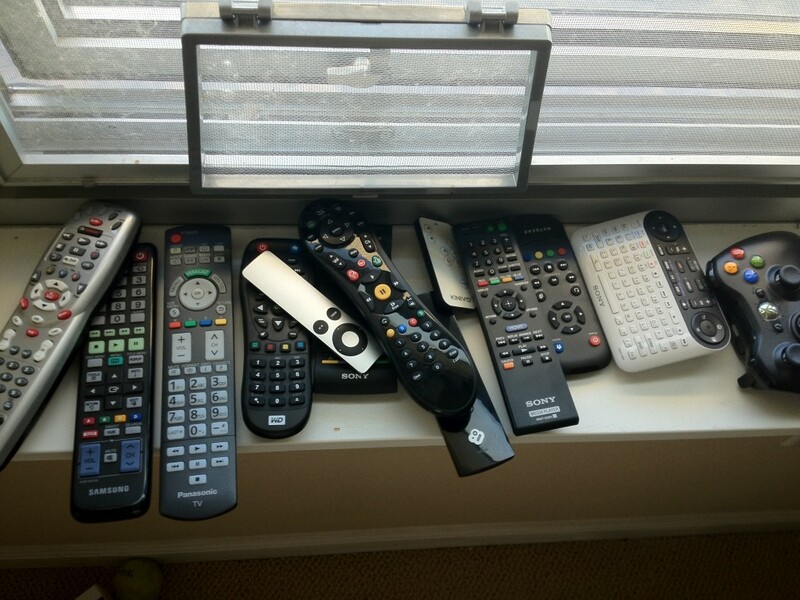 We find that to be a good thing, because app clutter is as bad or worse than remote control clutter. In theory, putting Roku Search on the mobile app is huge, because it lets you sort through the vast amount of content from a handheld device, rather than rummaging around for the plastic remote. Then seamlessly start playing whatever you picked, on the big screen. Sounds great. Unfortunately, in practice, it’s a bit of disaster. Here’s why. Say you search for Mad Men. 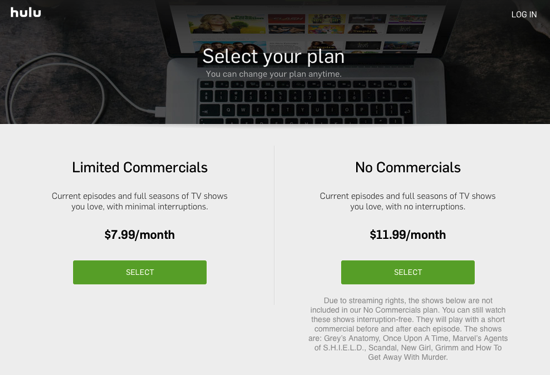 You’ll see a bunch of different content providers that have the show, including Netflix. But when you tap on a season of the show on Netflix, expecting to see a list of episodes, you’ll instead find that it immediately starts playing that season from the beginning – and it doesn’t remember where you left off. Which begs the question: Why bring the search feature to the Roku mobile app if it doesn’t work in a way that’s consistent or actually useful? This one’s gotta be a bug. Roku’s stick also seems to have trouble remembering state — that is, if you stop a piece of content midway through, it doesn’t start mid-way through when you resume playout. It typically starts from the beginning when you go back to resume it. Annoying. This hasn’t been an issue with Chromecast. 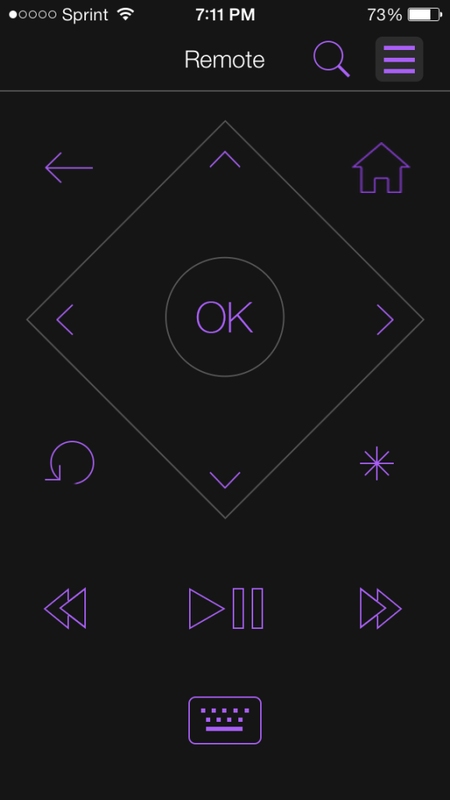 CEC is what lets you do things like control the TV volume from your mobile device. This is a very useful feature, and we wish Roku would start incorporating it into their devices already. Instead, I found myself juggling two remote controls and a mobile app while using the Roku Streaming Stick. THE BOTTOM LINE: Roku’s devices have been my and our all-around favorite for a long time, but I find their Streaming Stick to be pretty disappointing, out of the box. 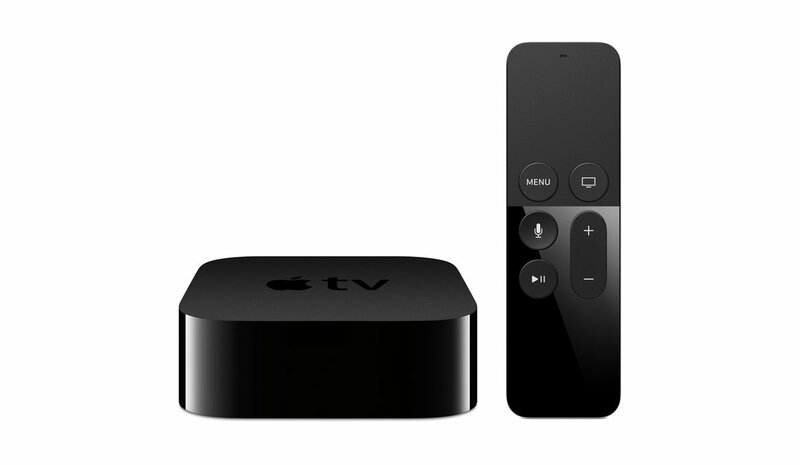 While it does make any digital TV into a “connected” TV, and does bring all that OTT content in without cluttering up the TV stand, it seems to lag behind the hockey-puck-shaped Roku devices in our lab when it comes to processing power. I’d recommend it over the Roku 1 (which is also $50 but doesn’t include DIAL or dual-band WiFi), but all things considered I’d rather put a little more money and space towards a Roku 3. Though it has less content than Roku at this point, Chromecast feels far more unified. And let me tell you, I never thought I’d prefer a TV device made by Google over one from Roku. 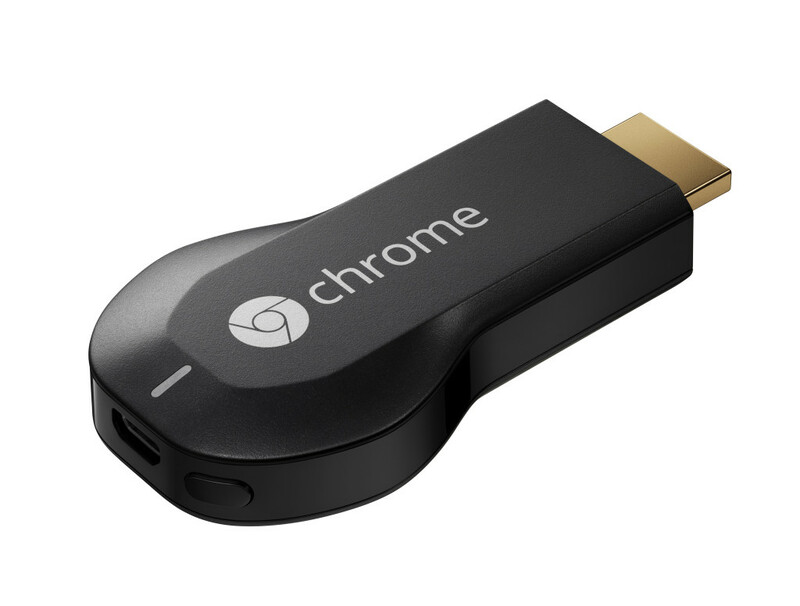 But I found that I prefer Chromecast’s simplicity and lack of a physical remote. 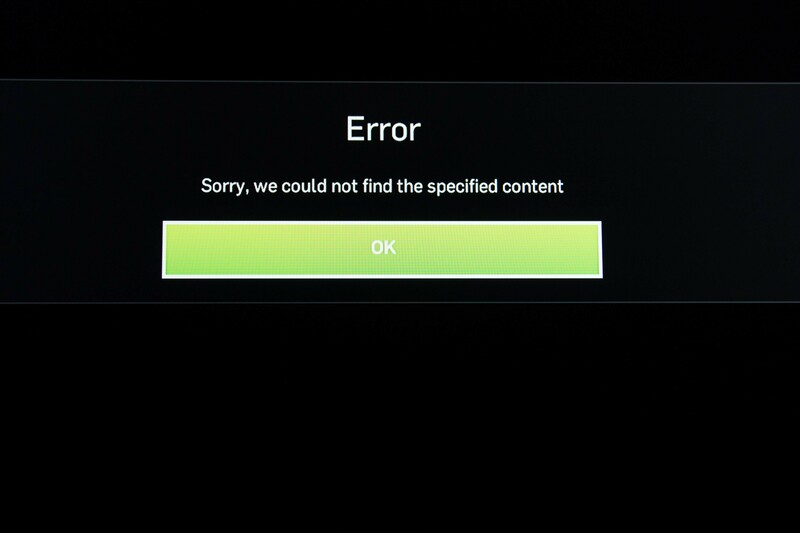 The huge variety of content on Roku (and multiple ways to control it) actually started to feel a bit overwhelming. 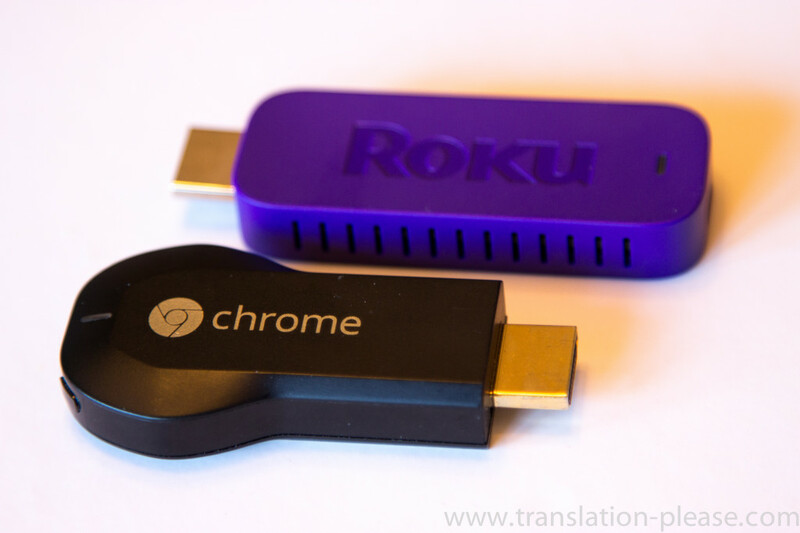 So: Roku’s Streaming Stick does some things well, but for the price I’d stick with Chromecast. Last week, as I was fiddling around in the lab, I realized just how many of the devices in our lab were quietly using the DIAL protocol. Example: I opened YouTube on my phone and tapped the “Cast” button, only to see a long list of devices including the TiVo Roamio, Roku 3, Chromecast, and even two generations of Google TV. DIAL, or Discovery And Launch, is the protocol used for Chromecast, and, increasingly, other devices. 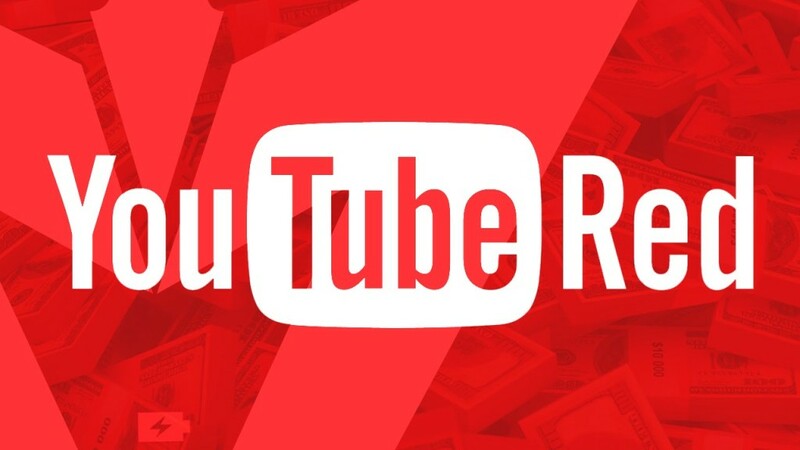 It was developed by Netflix and YouTube, with a little help from Sony and Samsung, and has gained support from a number of other big players in both content and hardware. In a nutshell, DIAL enables apps on 2nd-screen devices (such as your mobile phone) to discover and send content to 1st-screen devices (i.e. Chromecast or Roku) on the same network. From the user’s perspective, you launch an app. Let’s say it’s Netflix. You launch it from your mobile device and choose an output device on the same wireless network. * Let’s say it’s Chromecast. Then, you can start playing content from your mobile device, and it sends a signal to the Chromecast to go and retrieve that content. This means that the content streams directly from The Cloud to the DIAL-enabled device — not from the mobile device. This frees up your phone for checking email, browsing the web, searching out other titles to play, texting people, and all the other things we do with our phones/tablets. Most importantly, it means that the second-screen experience won’t drain your battery life and then grind to a halt. Even with the phone powered off, the video plays on. *Because the devices need to be able to talk to one another over the wireless network, DIAL won’t work on networks with Access Point(AP)/Client isolation – i.e. don’t bother bringing your Chromecast for the hotel room. Here’s the tech talk of it. DIAL relies on UPnP (Universal Plug n Play), SSDP (Simple Service Discovery Protocol), and HTTP (Hypertext Transfer Protocol). DIAL consists of two parts: DIAL Service Discovery and DIAL REST (REpresentational State Transfer). In the first part, the DIAL client device (i.e. your phone) discovers DIAL servers (i.e. a Roku, Chromecast, etc.) and obtains access to DIAL REST on those devices. DIAL REST then allows the client device to query, launch, and stop apps on the DIAL server. Several of the devices in our lab already support DIAL, even though some of those devices are a couple years old. And because DIAL is based on UPnP, it may be possible to add DIAL support to other existing boxes through a software update. Chromecast is a little different in that it uses Google Cast, which is based on DIAL but includes a few extras (of course it does) in the way of playback controls. It also has a more stable YouTube implementation than the other devices (it seems that way to us, anyway). Chromecast also carries the distinction of using HDMI-CEC (Consumer Electronics Control), for controlling your TV through the HDMI port. All you need to do is find a piece of content on your phone and send it to the Chromecast – it’ll then turn on your TV, switch to the right input, let you change the TV volume, and so on. This is a great feature and we wish more of the devices in the lab had it. Currently, only a handful of apps use DIAL – on most devices it’s Netflix and YouTube only. 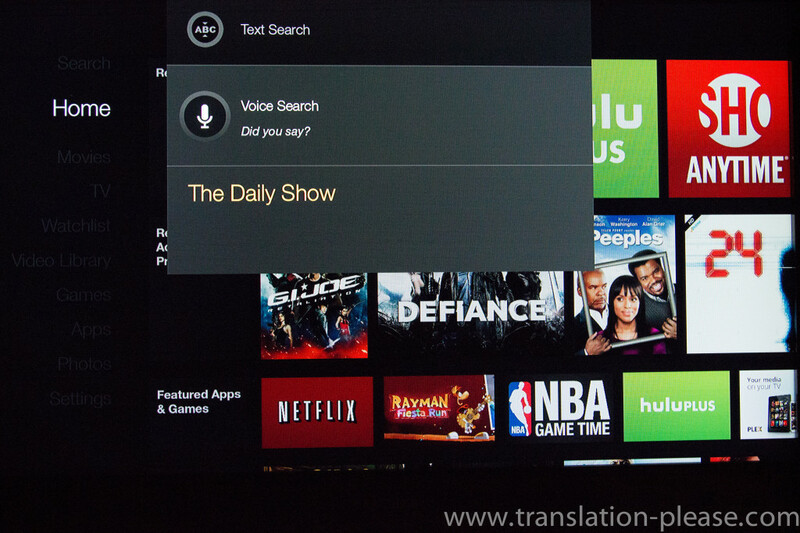 Chromecast currently has a handful of other apps such as HBO Go, Pandora, and Hulu Plus. More interesting is the DIAL name registry, which shows us which apps may be using DIAL in the future. 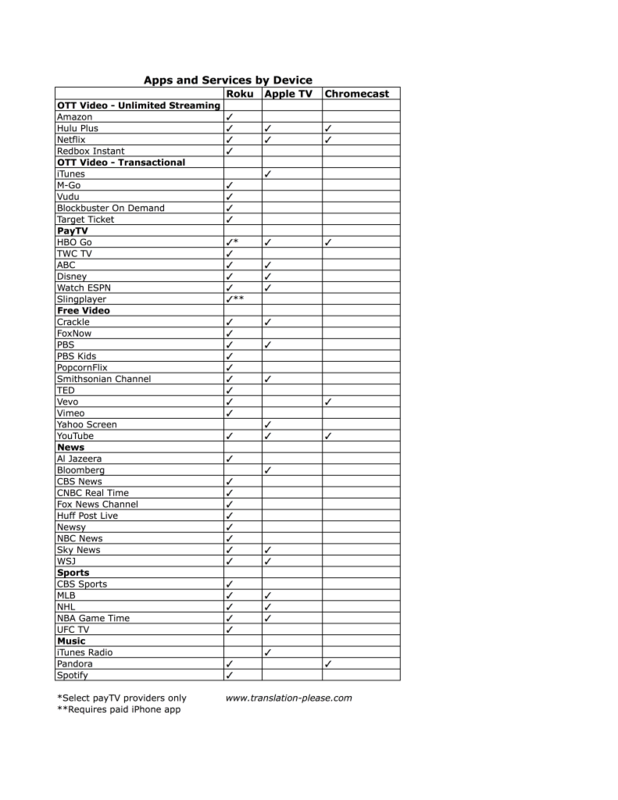 Not surprisingly, Turner Broadcasting has entries for all or most of its apps, and Comcast is on the list as well. In the OTT space, Aereo, Redbox Instant, and Crackle are all on the registry. And as a heavy Spotify user, I was thrilled to see it listed there too. However, just because a name is on the DIAL registry doesn’t mean that it will ever end up on Chromecast, or even have a working DIAL implementation – just that the app maker has started tinkering with DIAL in some capacity. As of this writing, the Google Cast SDK is still being finalized and Google is keeping the Chromecast partners to a select few. However, Google promises a busy 2014 on the Chromecast front, with a goal of bringing as many apps to the device as possible. Needless to say, we’ll be watching.